28 hours. That's my current time spent the amazing world of Skyrim. In those 28 hours, I've ventured out, done many side-quests, and got to join the Dark Brotherhood, my favorite of the groups to join. 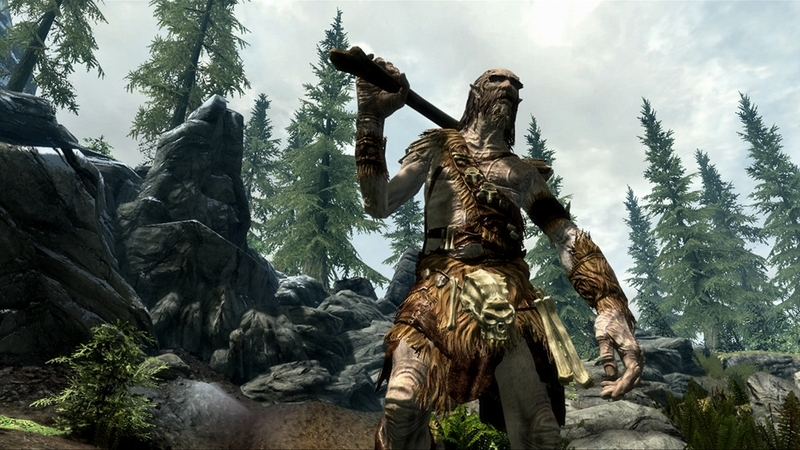 I'm about level 26 with my Nord, and I mostly fend off foes using two-handed weapons and my various shouts. 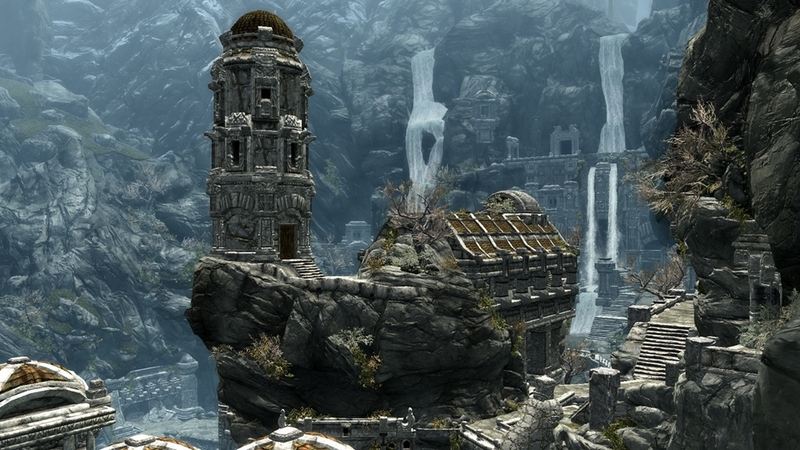 There's so much to see and do in Skyrim, and the fact that you can venture anywhere and play how you want really makes this a must-play RPG. 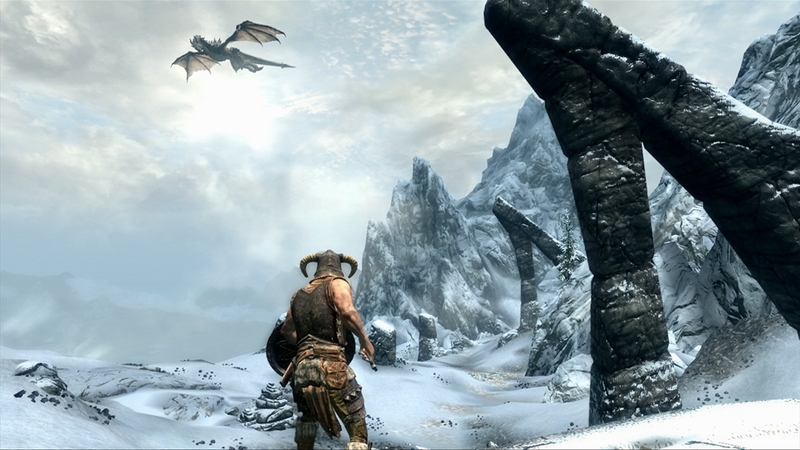 As you probably know, Dragons play a big role in Skyrim. These epic creatures soar through the sky and attack, forcing you to tread carefully when you're in their proximity. Upon defeating a Dragon, you then absorb it's power, giving you access to unlock more Dragon Shouts, powerful words that can only be used by Dragonborns. There are many different shouts to find, but to use more and more of them, you must be ready to absorb more dragons. If you really wanted to, you could simply evade the dragons and simply focus on side-quests, or just go and play the game in another way. Another great element to this game is how you level up your skills. Want to gain more abilities and level up archery? All you have to do is use your bow & arrow. How about pick-pocketing? Just pick-pocket. It's as simple as that. Since there is no experience system, you can control what skills your character has by just performing them, and once you do level up, you gain a chance to increase your health, stamina, and magic, and then gain points to place into your skills. One skill for archery would be gaining the ability to zoom in further when aiming, which helps tune your shots, and furthers your archery skills. This way of increasing your skill is very cool, but can be easily exploited, as you could simple shoot your companions with arrows, wait until they regain their health back, and then shoot them again. It's not really the game's fault for that, it just shows how clever players can get when it comes to increasing their skills. 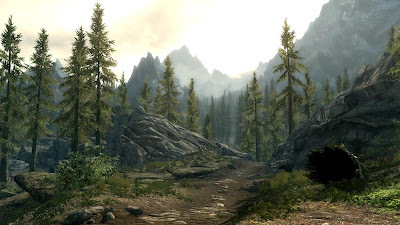 Skyrim is a massive game, but the map is easy to navigate and offers simple abilities such as adding waypoints to locations you wish to visit, and using black and white to distinguish whether you've been to a certain area. You'll be able to venture almost anywhere and be able to marvel at the amazing visuals in the game. As you walk into a village, you'll see people conversing with one another, workers making their coin for the day, dogs barking at newcomers, and children playing who also have lots to say about the events in their village. When walking down a nice water stream you could probably see fish popping in and out of water as they attempt to go upstream. Wolves will also howl and tend to travel in pairs, forcing you to either fight, evade, or even calm them using magic skills. All of this wondering is brought together with the game's soundtrack that truly immerses you into the fantasy world. Whether you spend 5 minutes or 5 hours in the game, you'll always be impressed with the amount of detail in the game. 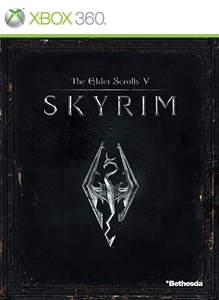 No game is perfect, and Skyrim does have it's fault. With a world this big, it's easy to ignore the smaller glitches, but there are some problems I ran into that were pretty annoying, including freezing and auto-save issues. Updates are on the way, and I hope all of the problems will be addressed. 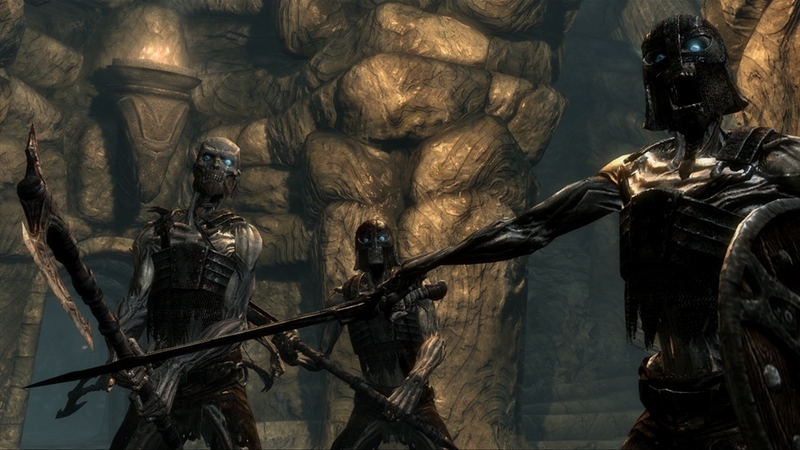 In comparison to the previous Elder Scrolls game and Fallout 3, Skyrim may be Bethesda's best game in creating an immersive and functional world. I've only heard a few repeating lines, and most voices I hear throughout the game are all unique, save for a few guards. Skyrim is one of my favorite games of the year, and there's still so much to do in the world. I'm glad winter break is coming up, because I'll be able to explore Skyrim with less disturbances and scour the land for more goodies to collect.